Let’s face it, Obama’s speech on the San Bernardino massacres was a flop. He was all the things we have come to associate with him - cool, rational, unflappable, decent. His speech reflected those qualities perfectly and all it produced was a yawn. He needed to meet Pericles. Pericles was in a similar fix in 430 BCE when he confronted an Athenian populace frightened by a plague as bad as devastating as the Ebola epidemic, in a war they didn’t really want, locked into a strategy that was not producing short term results and would require immense patience to see through to a successful conclusion. That was Pericles’ war and his strategy wasn’t working. The Athenians were angry and wanted to get rid of him and all he stood for. So, words of passion, glory and defiance got Pericles what he wanted. He didn’t let any demagogue expropriate the idea of making Athens great. Maybe he still has a word or two of advice for our commander in chief. ​I have taken to posting drafts on www.academia.edu, hearing that one gets prompt, and helpful reactions there. The postings include, “The Pygmies in the Cage” (reading Longinus On the Sublime as educational philosophy), ”After Smashing the Wedgwood” (on shifting attitudes toward the Classics), “What Happened after the Eclipse at Syracuse” (on Thucydides 7.50.4), and some probes in the Thinking Greek project (“The Wheeler Principle,” “Skin,” “When the Loin Cloth Dropped.”) Some of these pieces are already on my website www.wrobrtconnor.com/provocations; others will go up there in due course, but I want to invite friends to join the “sessions” on these drafts at the Academia.edu site. I appreciate frank criticisms and suggestions. A while ago I pointed out a dismal comment by Marco Rubio deploring that we have too few welders and too many philosophers. Now the philosophers are responding, with arguments and data. Douglas MacLean of the UNC philosophy department has writes in Time for November 12, 2015. “Some data are useful: …some of which we post on our department Web page. 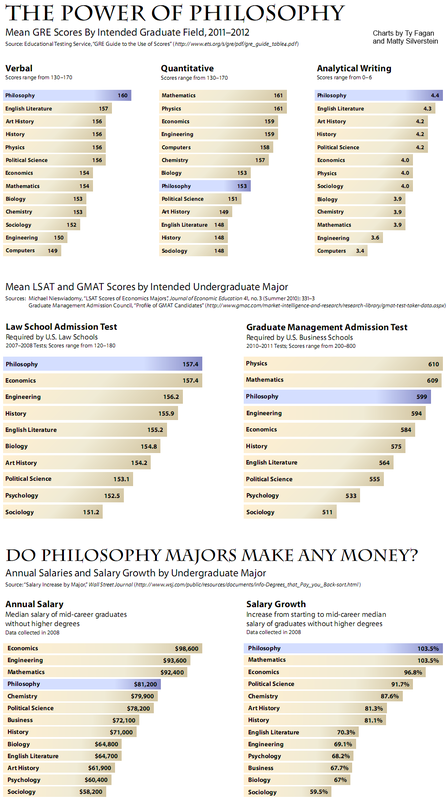 Studies have shown philosophy majors have outperformed nearly every other major on the law-school aptitude test, the GREs, and the GMAT, the admission test for business schools. (They also out-earn welders. ).“ His article is called “Who Needs Philosophers?” and is worth reading in its entirety.